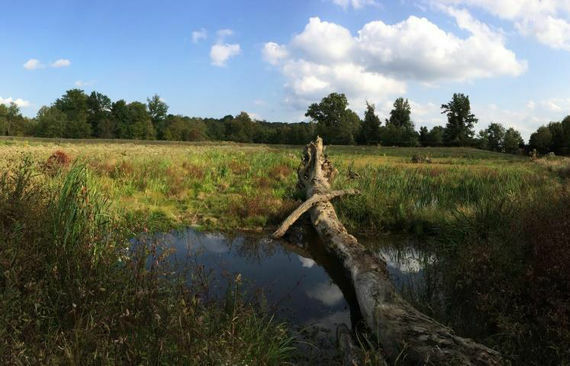 To mitigate for impacts from the construction of the InterCounty Connector, McCormick Taylor identified stream restoration opportunities along portions of Paint Branch and Little Paint Branch. The PB-85 site provided opportunities to improve floodplain reconnection, reduce channel boundary erosion, improve instream habitat for resident and anadromous fish and other aquatic species, provide flood attenuation, and enhance and reforest over ten acres of riparian area along portions of Paint Branch and Little Paint Branch tributaries. The improvements could potentially recover ecological and geomorphic conditions, not only at the site, but also for miles of channel downstream by reducing suspended sediment loads and reducing peak discharges that can erode downstream channel boundaries. 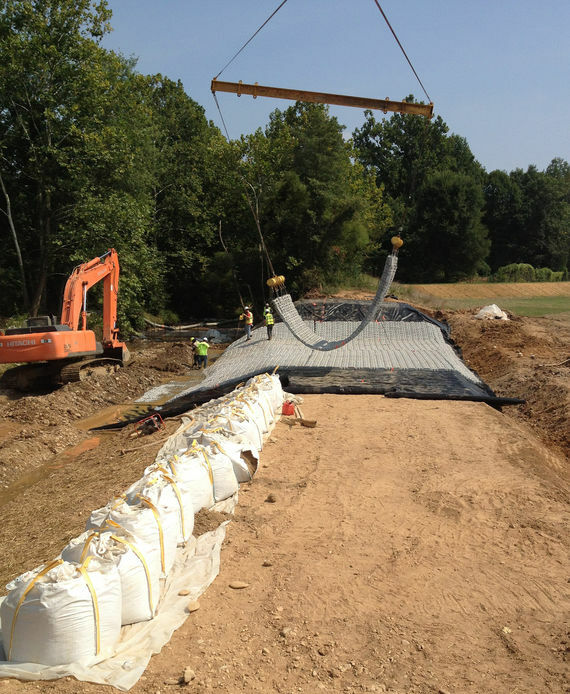 The project incorporated stream, floodplain, and wetland restoration efforts along Paint Branch extending from MD 193 (University Boulevard) upstream approximately 4,180 feet. 1. 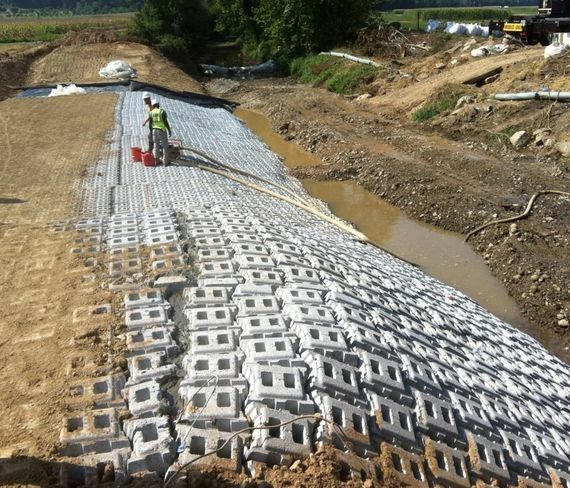 Strategically provide instream improvements through isolated structure placement and channel enhancements to reduce erosion and improve aquatic habitat. 2. 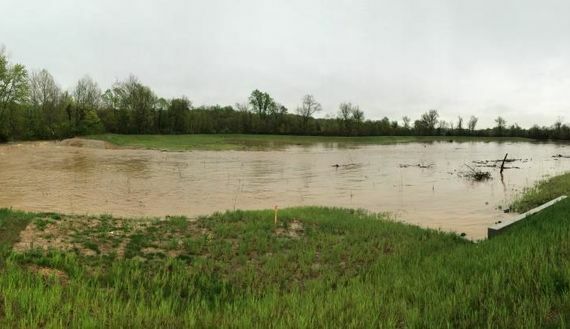 Breach existing agricultural berms along Paint Branch and Little Paint Branch on the BARC property, allowing floodwaters currently contained and directed quickly downstream to disperse, depositing suspended sediment throughout the adjacent floodplain. Iterative use of a suspended sediment model to predict sediment advection and dispersion patterns within the floodplain cells to promote sustainability and maximize function of the floodplain. Based on the proposed design, it is predicted that approximately 425 tons of suspended sediment will be removed from the sites annually, creating a large TMDL credit. Project construction was completed in Spring 2014. In May and June of 2014, two large storm events accessed the breaches, depositing suspended sediment in the newly created floodplain cells. 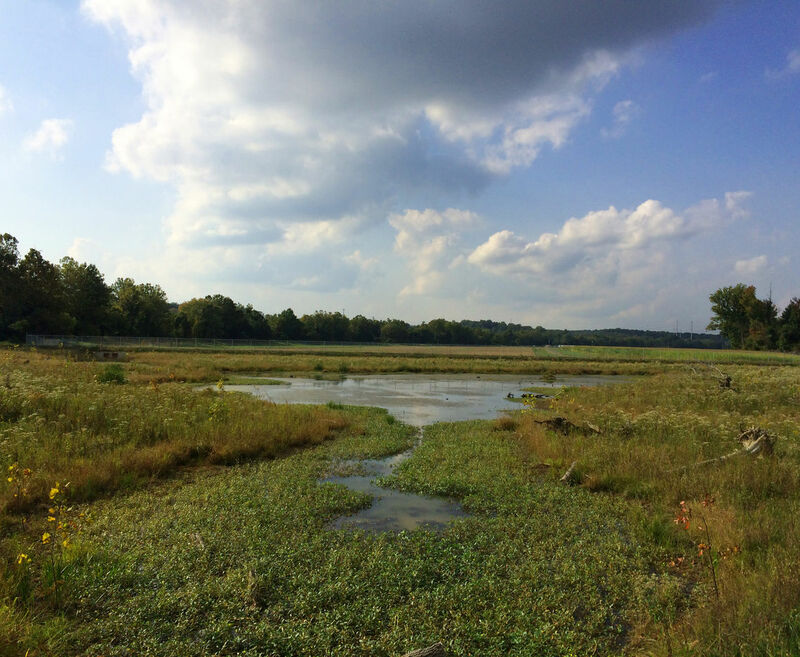 The project will be monitored for five years and based on initial observations from the first growing season, the project is meeting its intent of reducing the risk of storm flows, flood damage, water quality degradation, and sedimentation to Paint Branch and the Chesapeake Bay.